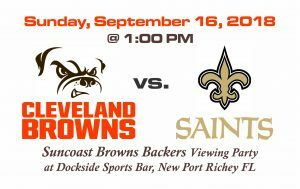 SEPTEMBER 16th – Game 2 of the regular season has the Browns traveling to Mercedes-Benz Superdome to take on the Saints. 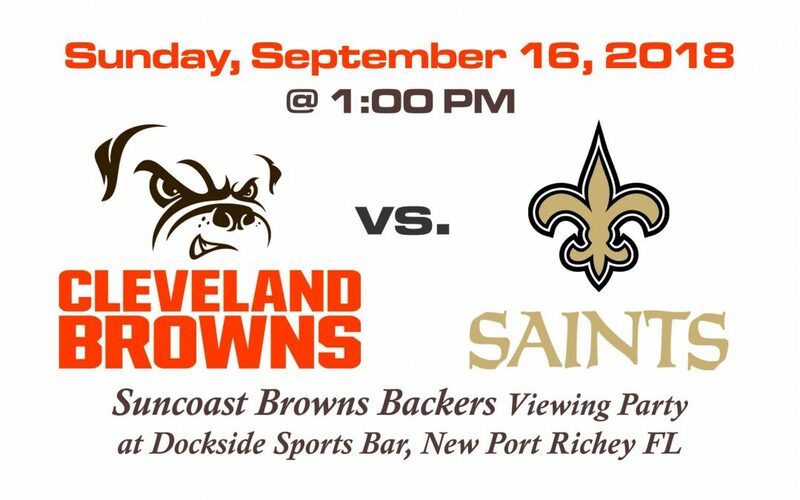 Join the Suncoast Browns Backers at Dockside Grille for our viewing party. 1PM game time. GO BROWNS!